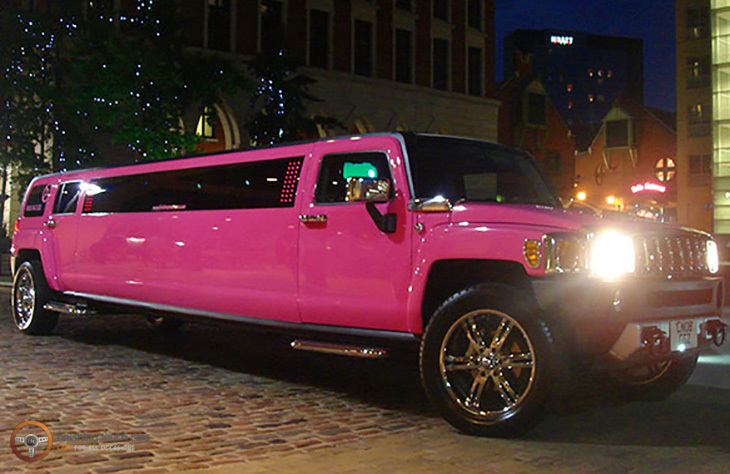 Luxury is never a reservation for guys only, and the Pink Hummer is a testament to that. 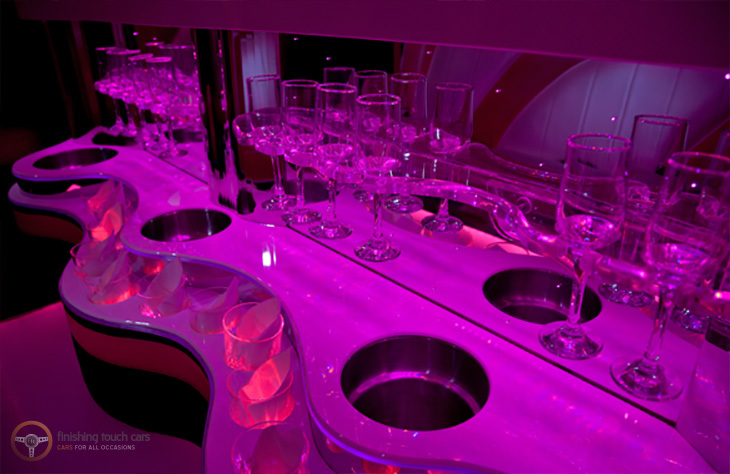 The only limousine dedicated to only the ladies, the Pink Hummer was professionally put together to our exact specifications to prove that it is for the town of Worcester, it comes with the signature one piece window with cleverly concealed LED Lights which are colour-changing. The Pink Hummer comes with 22” chrome wheels which complement what is already a pleasing and stunning package. The lavish interior is dominated by a pink and white color scheme which is seen in the plush leather seats, bar and the partitions. 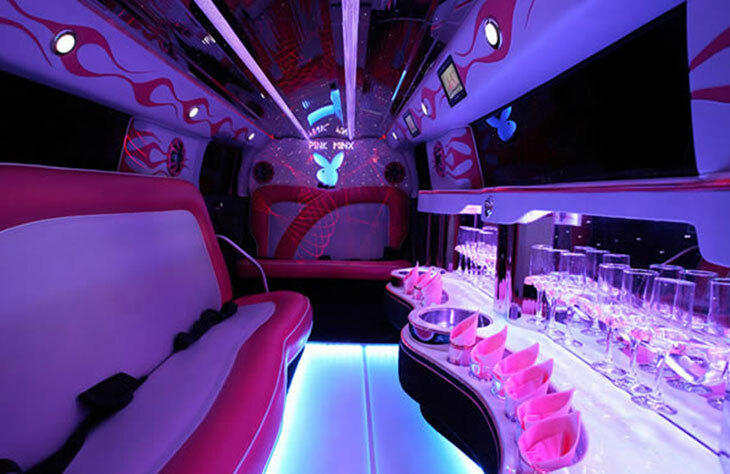 A true club on wheels, the Pink Hummer comes with a comprehensive sound system complete with subs, 7 flat-screens, LED lighting and a fully length mirrored ceiling. There is also an illuminated bunny integrated into the rear wall. For refreshments, ice boxes and 4 buckets of champagne* with 4 bottles are provided. 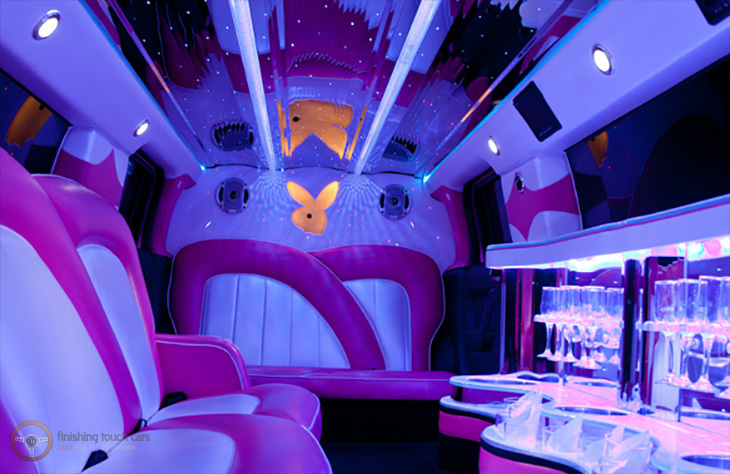 It’s the perfect limo for a hen night or for celebrating your daughter’s birthday. *Under 18s are given soft drinks, complementary.